Today in Masonic History Adolf Frederick is born in 1710. Adolf Frederick was King of Sweden. Frederick was born on May 14th, 1710. On both sides of his family he was descended from the house of Holstein-Gottorp. A house that had several medieval Scandinavian royal dynasties in it's ancestry. From 1727 to 1750, Prince Adolf was prince-bishop Lübeck. 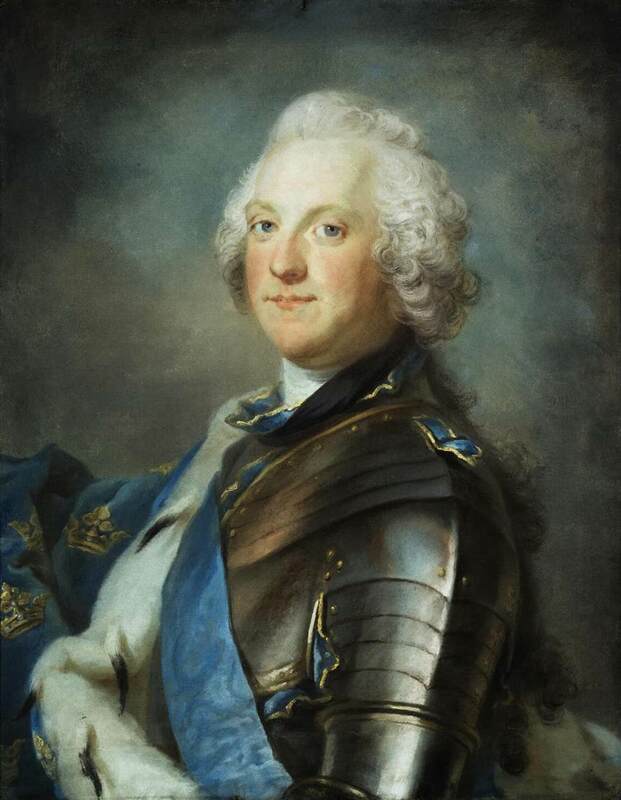 In 1743 he was elected as heir to the throne of Sweden by the Hat Faction which had control of the Riksdag of the Estates, the legislative body at the time in Sweden. He ascended to the throne on March 25th, 1751. King Frederick's rule was very unremarkable. He was essentially a figurehead with the Riksdag of the Estates being controlled by Hat, a political party during the Age of Liberty in Sweden which took it's name from the tricorne hat's that gentleman and officers wore. Mostly the Hats were at odds during King Frederick's rule with the Caps the opposing political party. The Caps were named by the Hats with the contraction of the word Night-Cap which was meant to indicate their inability to accomplish anything. The Caps were largely made of the poor and clergy. During his reign, King Frederick attempted to restore power to his throne twice. The first in the Coup of 1756, in which a coup d'état was planned by the Frederick's wife Queen Louisa Ulrika. The coup was intended to strip all power from the Riksdag of the Estates and dissolving it, thereby returning absolute monarchy to Sweden. The plot was uncovered before it even began and King Frederich nearly lost his throne because of it. The second was in 1768, by then the Caps had taken control of the Riksdag of the Estates. Notably during his reign the Freedom of Press Act was created under the Caps control of the Riksdag of the Estates. The Freedom of Press Act was unprecedented at the time in the World. It curtailed all censorship, although it retained punitive measures for libel against the King and the Lutheran state church. Despite how his reign is viewed, King Frederick was a well like man. He was deeply mourned by all who knew him as a good and kind man. King Frederick passed away on February 12th, 1771. It is claimed that he passed away after consuming a meal consisting of lobster, caviar, sauerkraut, kippers and champagne. For desert he allegedly had 14 servings of semla, a sweet roll that is traditional in Sweden. It was served in warm cream. King Frederick was a member of Stockholm Lodge.